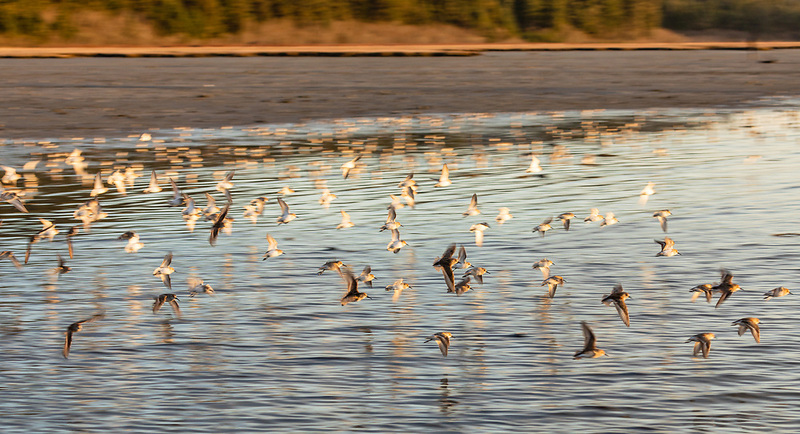 Western Sandpipers take flight over Hartney Bay in Cordova in Southcentral Alaska. Spring. Evening.